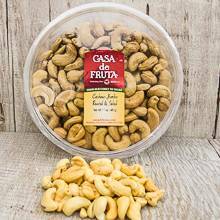 These delicately flavored roasted and salted large whole cashew nuts are a favorite between meal snack. They also make a wonderful special addition to salads and stir-fry dishes. Packaged in a 17 oz. tub.